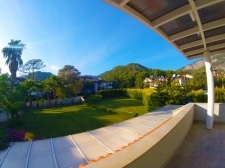 Beachfront property in Turkey and homes with sea access are our special niche segment of Turkey real estate. Do you dream of jumping straight into the crystal clear waters of the Mediterranean only steps from your home in Turkey? Moor your boat just in front of your Turkish seafront home? In 2011, Turkish planning laws regulating coastal developments were revised to restrict construction of residential property directly at the seafront. The minimum distance that is now required from water line is 100 metres. This means that in the future it will not be possible to obtain planning permission to build seafront homes in Turkey directly at the edge of water. a select number of overseas property owners, who took advantage of very favourable prices in Turkey for beachfront properties compared to other Mediterranean destinations. 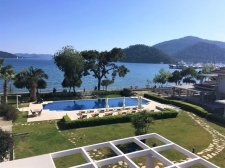 You can still buy a stunning seafront property in some of Turkey's most idyllic locations from as low as £500,000 for a 3-4 bedroom detached house with private pool. Since an equivalent property would cost around £1.5 million in better parts of Spain and Italy, Turkey represents a significant investment potential. 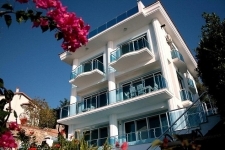 Prices for Turkish seaside properties are increasing rapidly. If your heart is set on a front-line position, buy now before you are priced out of the market. Turkey's best beaches are considered to be Patara, Oludeniz, Side and Iztuzu. All of these are nature reserves and as such not available at seafront. However, Kalkan and Kas are just 15 minutes from Patara and residents of Fethiye can easily access Oludeniz.